Today’s Happy Medium Song of the Day is one of my favorite Pogues songs — despite the fact there’s nothing Irish-sounding about it. Ironically, it was The Pogues first song to crack the US Top 40 charts in 1989, even though few people who regard themselves fans seem to know it because it was originally only released as a 12” single with crap cover art. It’s a raw and raucous Motown-styled rave-up that reveals a side of the band that harkens back to their punk roots more than their celtic ones. Horns blast, drums thunder and nary a single tin whistle can be heard. And it’s the rare occasion where Shane seems to have been content to scribble silly lyrics instead of poetry — although I would argue he’s honestly incapable of doing one without the other. 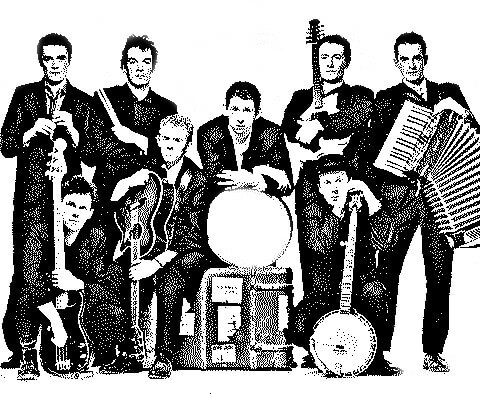 The Happy Medium Song of the Day is “Yeah Yeah Yeah Yeah Yeah” by The Pogues.